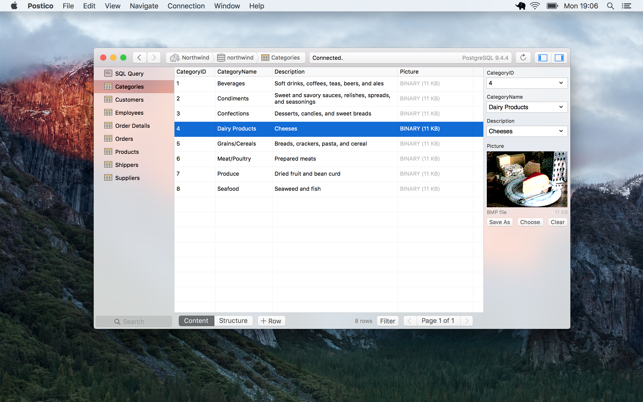 Postico is a modern database app for your Mac. Postico is the perfect tool for data entry, analytics, and application development. Postico is the perfect app for managing your data. It has great tools for data entry. Filter rows that contain a search term, or set up advanced filters with multiple conditions. Quickly view rows from related tables, and save time by editing multiple rows at once. For analytics workloads, Postico has a powerful query editor with syntax highlighting and many advanced text editing features. Execute multiple queries at once, or execute them one at a time and export results quickly. For application developers, Postico offers a full featured table designer. 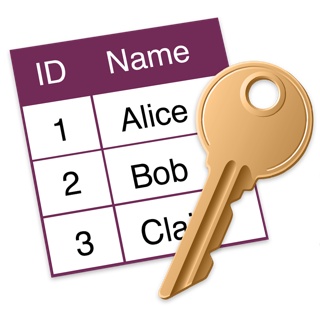 Add, rename and remove columns, set default values, and add column constraints (NOT NULL, UNIQUE, CHECK constraints, foreign keys etc.). Document your database by adding comments to every table, view, column, and constraint. But the best part of Postico is how well it works. Postico is made on a Mac for a Mac. It works great with all your other Mac apps. Use all the usual keyboard shortcuts. Postico gets the basic things like copy/paste just right, and also supports more advanced features like services for text editing. - Added keyboard shortcuts cmd-S for "Save Query…" and cmd-O for "Load Query…"
I was using PGAdmin on my Mac and dealing with constant usability issues. With PGAdmin I would have windows randomly resizing on me while trying to administer my local dev environment. I switched to Postico and everything works great! The software’s UI is not only stable but much more responsive than PGAdmin ever was. I have been a happy user for quite some time but just got around to reviewing it. I wish there was a free version for developers to give it a try with a paid upgrade inside of the app for the full release. That would give me the ability to promote it more to others. This application has a nice clean feel under MacOS, for example, going full screen and using certain keyboard shortcuts. A feature I woudl really like is the ability to generate a SELECT query for a specific table. Right now I have to open the table, click filter, preview query, then copy/paste to a query window. I used it view/modify a Postgres db and it consistently exceeded my expectations.